Have you ever visited Japan? Even if you haven’t, maybe you’ve heard about Japan’s excellent, clean, safe, affordable, extremely punctual and high-tech public transportation system. Especially in big cities such as Tokyo, there are train and subway stations and bus stops all over the city. The trains, subways, and buses are on time to the minute. They’re very comfortable…upholstered seats, air-conditioning in the summer and heated in the winter. The fare can be paid with the swipe of a convenient IC-card. And, of course, the trains and subways are electric. It’s been that way for decades. 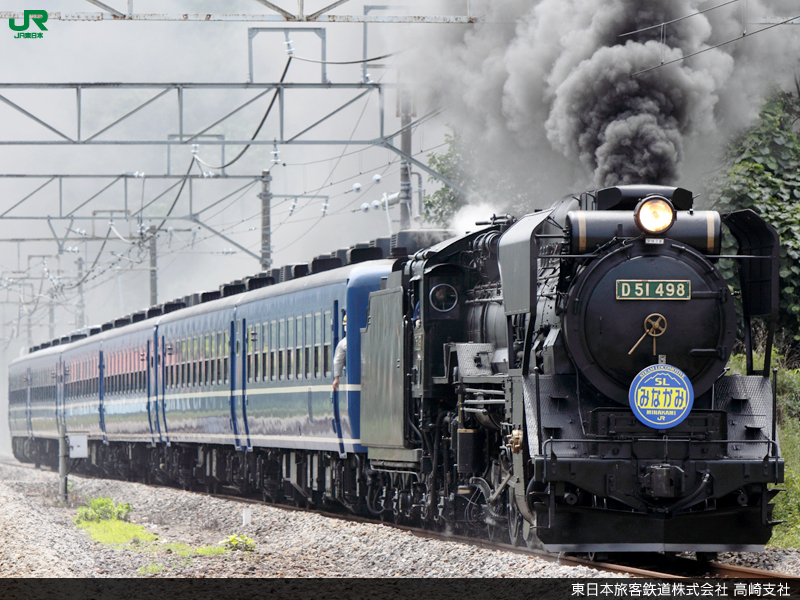 Japan hasn’t used the steam locomotive (SL) for a long time. But, for something fun to do this summer (especially for families with young boys) and also to show support to Fukushima, Japan Railways (JR) will offer the chance to ride on a steam locomotive train. This is only temporary (for the summer of 2011) and also the trains will only run in the countryside area of 群馬県 (Gunma Prefecture), north of Tokyo. Have you ever ridden on a steam locomotive? If you’re able to visit Gunma, Japan this summer, this is your chance.